It says that I should burn the candle for 7 days but it was very slow and instead of 7 days it burned 14 days. The glass is clear but I have question ragarding the oil, there is no wax but some oil remained so what does it mean is it normal or the oil should have burnt too? And what I should do with the paper and the glass? Thanks? sun999 wrote: It says that I should burn the candle for 7 days but it was very slow and instead of 7 days it burned 14 days. The glass is clear but I have question ragarding the oil, there is no wax but some oil remained so what does it mean is it normal or the oil should have burnt too? Any time a 7 day candle takes longer than 7 days, barring you did not snuff it out at any time, means the results will take a while. It's nice that it is clear, but the candle is telling you what you want will take time. That it took double the regular time to burn, means it could be a long road with the work you are doing, especially with the oil being left behind. That is quite unusual. You will have to redo the candle and DO NOT snuff it out. A seven day candle must burn continuously for proper divination. On the flipside...if a 7 day candle burns sooner, does that mean results will happen sooner or possibly "not as long a road?" Novena candles can burn anywhere between 3-7 days, with around 5 days being average. If your candle burned out on the shorter side of that range, you may be able to expect a quick culmination to your work, especially if you've had other positive signs. Has anyone used lucky mojo marriage vigil candle and what was your results. My purpose that i brought is for my boyfriend of 4 years to ask me to marry him. It's be burning for a couple of days and the results i see is that his sisters and the rest of the family are contacting me and calling me. Should there be something esle i should be doing while the candle is burning and also should i keep burning these candles every week until i get the proposal ? I think you should get a reading done to what else you should be doing in order to get the proposal, and to address any addition concerns that your boyfriend may have in regards to marrying you. For example, if he wants to and just is scared of the marriage, then I would recommend some courage work. But I would get a reading, and see what else you should be doing in addition to the work. As for lighting the candle, I would actually burn the candle, and dispose of it. It is going to take time for the work to manifest. But I would wait and see what else needs to be addressed to get the proposal when you get the reading. Thanks! I got a reading and the reader told me that he's stressed out and he's trying to find himself . She told me that he's doesn't really know what he wants in his life. So what can i do to help him, if there is any thing i could do? Well, I would first do some cleansing work on him (just to get rid of negativity). You can simply do this with an egg and put it over his picture. I would leave it for a minimum of 3 days, and then throw it at a tree. Make sure you do not look back,and the tree is not on your property. Then I would do some tranquility and clarity work on him, just to calm him down, and to help him have a clear mind. You can simply do this by getting a white skull candle (plain white free standing or vigil light white candles will do too) and dressing it with the oils, or powders, or a combo of the two. Then I would do some king solomon wisdom to give him wisdom and better decision making skills, and crucible of courage for some bravery and determination to go out and do what he needs to do. If you wanted you could set some road opening candles to remove obstacles in his way. He just needs some guidance in his life. And you need to find out what exactly is making him stressed out because that can help. Is it a lack of a good job...does he want to go back to school. If so attract those opportunities to him. Once he gets his life straightened out then he will start planning for the future with you in it. Ok Thanks!!! I will start this very soon and order everything this week. Can someone tell me the purpose of a marriage candle ? And also when burning a marriage candle should there be other candles to burn to make it have more affect I was thinking about to burn a stay with me candle, follow me and adam and eve candle along with marriage one. Should i have the same petition with the candles? Well, in a previous thread you were recommended a few things you need to do in order to get this marriage proposal. Now are you speaking of the couple figural candles or are you speaking of the marriage vigil candle. http://www.luckymojo.com/marriage.html This link will tell you all about the line of candles. And to get this marriage proposal...he stated that it is because he does not have his life together so you need to work that out because that is hindering him from wanting to progress in the future. The two go hand in hand. Stay with me maintains fidelity, follow me boy gets someone to follow you around, and adam and eve helps with drawing a perfect mate. If I were you I would go for churprrosa products because it can help keep the relationship going strong with loyalty and help with the trust in a relationship. It also helps with communication as well, but you still need to help with him getting his life back together. what if i help him get get his life together and he ends leaving me? If everything is good between you and him now, and it continues that way, then there would be no reason for him to leave you. If you think he is going to leave you then work with stay with me and churprrosa to keep the loyalty in your relationship. You can even work a nation sack as well. Negative thoughts like that will not help Theclassymami...stay focused on your goals. We both feel blessed to have found Lucky Mojo and it's extended family! Many blessings to all of you and good luck with all you seek! P.S. - The point of this post being to urge everyone to find an accompanying vigil candle to go along with a special time or event to add to the powerful vibrations these naturally cause in your life. It will bolster EVERYTHING! Thanks Joseph...and many blessing to you and your spouse. OH that is so lovely Joseph!! Congrats to you and your wife! May you two continue to be blessed for years and years to come! Congratulations on your anniversary. You make a lovely couple. Thank you all for the well wishes! I had a tiny chance to sneak away last night and get a few posts up on here...my wife was calling her best friend and father. Thanks again everyone! Just for those who are interested but haven't seen it -- this is the label for the Lucky Mojo Marriage Candle which we sell dressed with herbs, hand-crafted oil, and glitter. You can order by clicking on the blue Add To Cart button right here in the forum. Sara and I had one of these vigils done for us while on our Honeymoon, the day after we were married! I highly recommend the candle! Powerful stuff to get it dressed at Lucky Mojo. I would like to know, can this candle be used on someone you're not in a relationship with? E.g. If I was burning a Come to Me candle for my target to be in a relationship with me but, I also want him to want to marry me as well. I need a good marriage spell or mojo!! another woman is after my man!!! I have earlier learnt about the candle rituals but don't know if they really work or not.what about this marriage candles do they work for a person who is searching for his/her better half but dont have have any specific person at present? 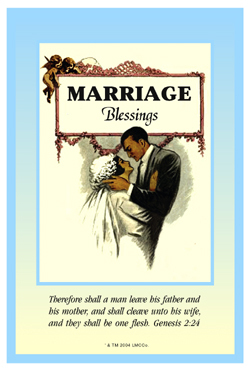 Marriage candles are best for people who are already in a relationship and desire it to become a marriage or for married people desiring to consolidate and renew their existing union. That said, if you are looking for a partner who is willing to marry, then you could use it if you wanted to.